I can’t see any point at all in the 10/23 merger. Yesterday, I saw packed 10’s coming down Oxford Street towards Hammersmith. On point of contracts, I believe the 10 is the most recent contract signed. I think when the 13 & 139 issues arose, some sort of bidding / evaluation process between the two existing operators was conducted and Sovereign were selected. So it could go either way. Bearing in mind there are the Crossrail routes as well, maybe V could end up with the 218/306 instead of the 10. Just more evidence of how TfL are neglecting bus passengers more and more. There are other, better alternatives to what has been proposed. Passenger numbers will just drop even lower on affected routes. The 7 change eventually became permanent. I have a feeling this new 10/23 route will end up being operated by RATP out of instead of TT out of X as route 10 has just started a new contract this year while route 23s contract expires in 2019 as well as it already being on a shorter contract. I agree. Bearing in mind changes were in pipeline at tender issue , there would probably have been some small print in that contract. Disagree with practically all the changes involved - so sad to see how ravaged the Central London network will be once Oxford Street is pedestrianised. I could understand the removal of the 10 from Great Russell Street & the surrounding roads given that the 3 will also run along there and two bus routes along there would be overkill but to effectively cut the route in half and lop it onto an already severly cut 23 smacks of desperation and a bodge job. Instead, I'd of preferred to curtail the 10 to Marble Arch, extend either the 7 or 94 to Hyde Park Corner (stand at Curzon Gate, could also erect a new stand there and extend both routes to relieve Marble Arch) and look into extending the 10 from Hammersmith instead or even follow snoggle interesting proposal of merging it into the 98 as a Willesden Bus Garage to Hammersmith route which is probably just about doable. I did hear from a good source that the 23 to Wembley has either been proposed or outright scrapped so we'll have to wait & see on that one. I'm glad that the 7 & 94 was retained as I remember a lot of people were expecting one or both routes to be withdrawn but thankfully that hasn't happened. It would be nice to see something done with the outer ends of both routes, particularly the 7 but I know I'm expecting too much. The idea mentioned about extending the 137 to Shepherd's Bush is interesting but probably a step too far. Interesting in the two routes chosen to run along Wigmore Street - the 139 seemed the most obvious and was probably done to slightly appease Finchley Road residents who wanted that link to the West End retained. The 390 seems less well thought out especially it will need to re-routed again when the eastern end is pedestrianised. This is practically marked now as the beginning of the end for Oxford Street both in transport terms but also, the gradual decline of people shopping there. Those who can't afford taxis, the Underground or Crossrail & those who have good reasons for not using the Underground or Crossrail will simply no longer come to Oxford Street - I mean why would you pay more money to travel into Oxford Street when you can grab a bus to your local shopping centre at less cost and in doing so, accessing that shopping centre far easier than the two Crossrail Stations or four Underground Stations along Oxford Street. It's a no brainer quite frankly, especially when a lack of parallel buses and only two Crossrail stations meaning the Central Line will still be rammed as will Crossrail - buses assist trains yet TfL have let it get into their heads that buses somehow compete with trains - they really don't and actually provided that door to door experience a train can't simply provide. And then there's grabbing a night bus home - if your travelling south of the river, you now have to walk to Wigmore Street, wait for a 139 towards Waterloo or 390 towards Victoria and then make a change of bus which isn't ideal at night at all especially when taking into consideration that the tube isn't accessible to all. Then there's the added congestion to surrounding roads - Wigmore Street, Edgware Road, Old Marylebone Road & Marylebone Road will all suffer as a result especially when routes like the 2, 13 74, etc, will possibly have to follow all those roads listed except Wigmore Street. Regent Street & the road up to Great Portland Street will most likely be worsened as well - this is what pedestrianised areas do to town centres and high streets, creating extra traffic and strange, lengthy detours just to avoid particular areas. One well known bus enthusiast from Croydon has shopped their extremely little since North End was pedestrianised in 1990 because you can't go to & from the shops as close as you could before when North End was served by buses. Furthermore, they are dangerous to walk through at night and attract the wrong type of people to hang about in - having walked along North End both day & night many times, it really doesn't feel me with much confidence to the point I'd rather walk through the centre of Brixton at night. For the Finchley Road changes the position with the contracts was fairly simple, as most of the routes involved were coming up for retender anyway. The only contract that wasn't nearing its end was Sovereign's 13, which is why their existing contract was transformed into the 139. Metroline's contract on the old 139 was therefore not offered for retender (it ended up being extended by a couple of months to get to the changeover date). IIRC Sovereign did announce that they had been "selected" to run the 139, but I think that was just a bit of spin - they were always going to be given the 139 as it would have been too complicated to cancel a contract that still had a while left to run. For the 10/23, the 23 is on a fixed-term 4-year contract which was meant to tie in with Crossrail changes. However, it now looks as if the butchering of the route is being brought forward, so that contract may have to be terminated early. Worth noting that the 452 is conveniently up for tender in early December 2018 - I imagine that if TT were to win it, they might not be too fussed about losing the 23 at the same time. That would also make it easier for the 452 to take over the Westbourne Park end of the 23 as had been originally planned. I think 10/23 is a good propsal but will people agree with it I do since they are proposing to pedestrianised Oxford STREET West due to our growing population. I think they might as well merge the 476 and 73 into one route to save carbon emissions. 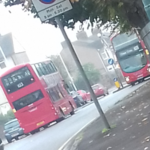 They could scrap the 94 and either make the 31 or 316 or C1 reroute and terminate at Acton green. Where near self ridge would the bus stand be for 114 might as well terminate at Baker Street. It would seem logical to merge the 73 and 476 into one route. Hopefully some sort of bus station will be constructed at Marble Arch? Presumably the 113 (not 114!) will have a stand somewhere near Grosvenor Square? Presumably routes like 2,13,74 as well as National Express and Megabus routes will go that way? Unfortunately it is usual trying to make best of bad idea, the muddle of loading bays, bus stands and taxi ranks in the surrounding streets smacks of desperation to try and fit them all in. Don't think it is worth further comment. I think that it will be going to Tower Transit because this route will be terminating at Westbourne Park and will be standing in X. What will probably be happening is that the current 10 contract will be withdrawn and the 23 get renumbered 10. The 10/23 merger may be retendered as a ‘new route’ with the terminus being ‘Harrow Road/Elgin Avenue’. I don’t think TfL just give routes out to other operators when contract issues go awry when routes are chopped and change. Mind you the turning from Elkstone Road to Great Western Road is quite tight and will cause traffic problems. When it came to the 13 contract TFL were quite lucky that the 139 was due for tender so the contract simply was put out for tender and the original 13's contract was renumbered 139. If the 25 gets pulled out of the area (which I'm sure it will) then that will leave only the 55, 73 and 390 running along Oxford Street (East). Quite easy come 2019 to cut the 55 to Tottenham Court Road (maybe pull the 176 to Trafalgar Square with the 3 maintaining capacity up Charing X Road) and the 73 and 390 running along Upper Regent Street and onto Euston Road. 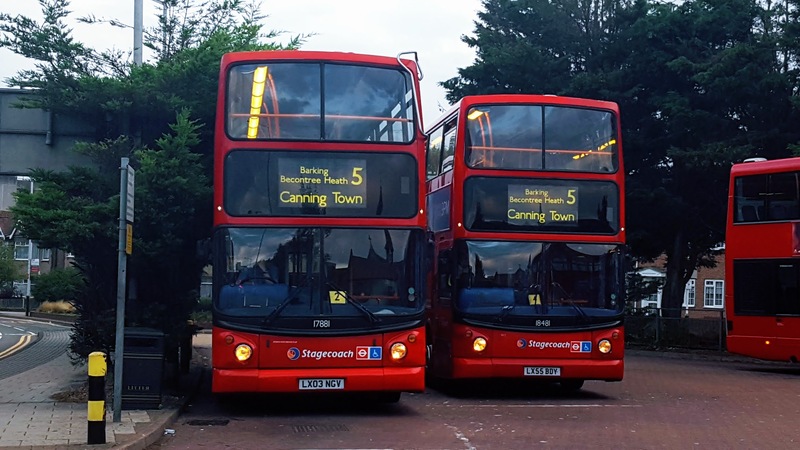 The new 10 or 23 could just run to Ladbroke Grove if the length is an issue and still switch the 452 to Harrow Road. That also reduces the slight over bussing to Kensal Rise. The only thing TFL have quite sensibly done is not send load of routes down the other roads at present. The 6 down Park Lane arguably replaced the 436 and the 22 up Piccadilly. No extra routes up Edgware Road or Regent or Upper Regent Street at Present. There must have been a temp again to send the 23 and 94 down Park Lane like 6 did which may have clogged Piccadilly a bit. I would though have liked the something from the Edgware Road/Paddington to Oxford Circus so maybe have diverted the 7 or 23 along the Marylebone Road and down Upper Regent Street. I would get rid of the C2 and divert the 88 over the C2. Bit long I know but I'm sure with a robust timetable could work as the C2 is particularly quick between Oxo and Camden. A missed opportunity to replace the northern section of the 36 with the 10 perhaps ? A routing it will have to adopt during carnival anyway to Harrow Rd Prince of Wales. Hammersmith - Westbourne Park is a very circuitous route , with no prospect at all of end to end travellers. It will literally empty out at Marble Arch and refill for the next leg. I get the impression the planners don’t know London at all, or how to read and interpret a map. The 10/23 will provide a direct link from Paddington to Knightsbridge and Royal Albert Hall although the 27 would be quicker to Kensington and Hammersmith. The proposals seem quite reasonable to me in fact in some ways better than expected, it was rumoured that the 94 would be reduced to a Acton Green to Shepherds Bush shuttle but it's still going to Marble Arch. I'm slightly puzzled by the negativity about these proposals! 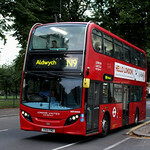 How about extending the 9 from Aldwych up Kingsway, Russell Square, Euston and King's Cross? That would not quite replace the 10, but would maintain links West London (Hammersmith/Kensington) to King's Cross/Euston area. will the 139 / 390 get increased PVRs? Given that they will be far more heavily relied on by then than today. Actually I did think that the 10 could have still gone to Kings Cross via Marylebone Road with the 30 being curtailed at Euston or Warren Street. And maybe another route (7 or 94 perhaps?) going to Piccadilly Circus via the 6 route? 98 extended to Hammersmith, with LTs? That means current 7, 10, 23 are withdrawn, saving three bus routes instead of two. Also means that the only extra route terminating at Marble Arch is 113 (if 98 is extended), without using Hyde Park Corner. Marble Arch is already fairly tight as it is. Buses are being cut left, right and centre, because there is a lack of roadspace for buses etc, thus increased traffic levels. Cycle works and other works has caused London to basically grind to a halt. There needs to be a better distribution of road space so traffic does not necessarily need to squeeze everywhere. Poorly designed traffic priorities, traffic light phasing and junctions has not helped. Buses are supposed to be used as the short-haul travel option, complementing the long-haul travel option of trains and medium-haul of LU. The prospect of changing buses so many times actually removes people from buses, and onto other methods. This causes people to use buses less, and the buses get decreased. And thus the vicious cycle begins. I do think Oxford Street should be made one way, but not fully pedestrianised, with Wigmore Street etc providing the opposite direction. Nearly 5 years ago, this actually happened when Bond Street Station and the street itself had a lot of works, and thus Oxford Street was made westbound for buses only. It thus allows people to still have wider spaces, the buses can still run through somewhat.